Nova Launcher, one of the most popular Android launchers ever launched in the Google Play Store, is now on sale for 80% off. The benefits of the Prime version of Nova Launcher are quite extensive, so it's really worth the money. Of course, this is a limited-time deal, so you should act now if you want to buy the Nova Launcher Prime for just $0.99. The basic version of the Android launcher is available for free, but the Prime app usually sells for $4.99, so the current deal offers customers an 80% discount on the app. Among the many benefits of the Prime version, here are several that you might find very useful: gestures, unread counts, hide apps, icon swipes, custom drawer groups, and additional scroll effects. In order to take advantage of these premium features, you'll have to install Nova Launcher first. If you buy the Prime version, all these features mentioned above will unlock in the free version, so you don't have to install another app. Am I the only one who doesn't like Nova? It's overrated by overzealous fandroids who think more = better. In reality it's outdated and bloated with choppy animations compared to something smooth like Lean Launcher. But if you don't follow the Android herd and praise it, they'll turn on you, as you already seen. That said, I did purchase it years ago for the same price. Been using Microsoft launcher for quite some time now. Nova lost it's touch. Nova Launcher is great, but it looks outdated! You mother is also great but a little outdated. Since 2013, I found 3rd party launcher just unnecessary. I just keep whatever OEM come with. Been using Nova Prime for years now. I've tried others, I always go back. I use it on old devices where I want to strip away the interface to basically just a single home screen where I only have a couple apps accessible and use the devices as media remotes for the TVs around the house to cast content from, or for quick access to smart home features. Even with it's choppy animations and bloated options? It's was best when Kit Kat was still around, not anymore. Zero choppiness on any phone I've ever owned. Best Android launcher there is, and I'm using it on the best phone there is - the Note 9. The Note 9 is a phone of envy, with its painted chipping fingerprint sensor and heatpipes to prevent a meltdown, it certainly has the stuff. Watch the animation opening a folder, now install Lean Launcher and watch the animation. Do the app drawer, or changing home screens. Nova is outdated, except by people wearing rose tinted glasses. The Note 9 is, as the majority of tech reviewers have claimed, the best phone there is. It doesn't lose connectivity due to lousy Intel modems, it doesn't come out of the box with a bend. I've tried lean launcher, went back to Nova. Because it does much more, and has zero choppiness. And never has on any phone I've owned. You can keep trying to plant those stories all you want, you won't be any more successful than you ever are. I bought it even though I might not use it. The savings are big. I also prefer having Google now to the side. 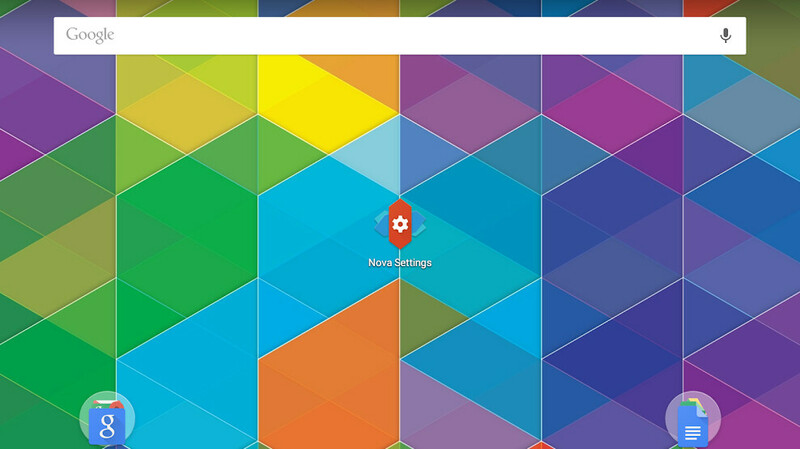 I'm pretty sure they have a workaround that allows you to have Google Now on the side of the Home screen. At least they use to. I have been using it with klwp. I haven't found a better combination to get the setups looking right. Side note: I haven't experienced any choppy animations and I use the bloated options to make my klwp setups more productive. There's nothing like a well set up klwp on any other phone, that I've found. Don't listen to rouyal, he hates anything that's better than Apple. It was $0.14 USD when I purchased it. I'd buy it again. There may be person opinions on which launchers are better, but it's been getting updates and fixes for years now.